So, I'm sure at least some of you have heard the story of "Flat Stanley". For those of you who are unfamiliar, here's a little info about Flat Stanley. This week at our house we have had a new addition to our family- "Flat Henry". Flat Henry couldn't have showed up at a better time. 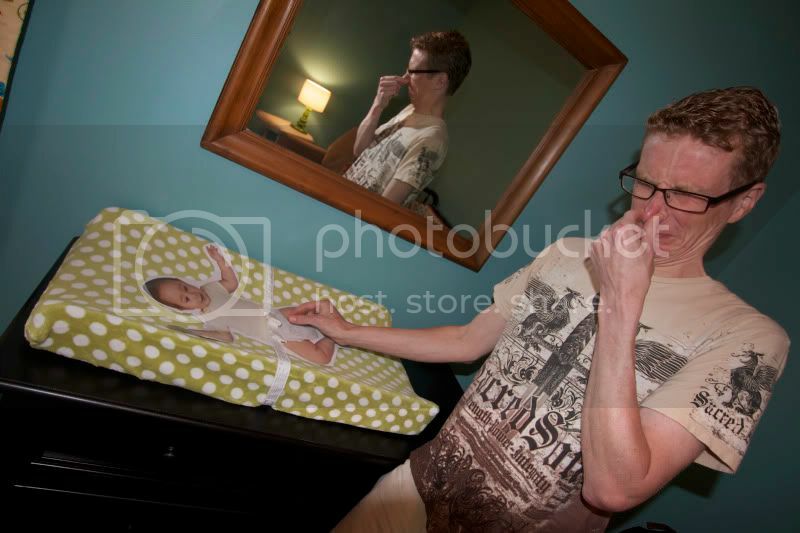 Will has been anxious to take a "baby basics" class and has shown concern over his future performance in the baby skills department. 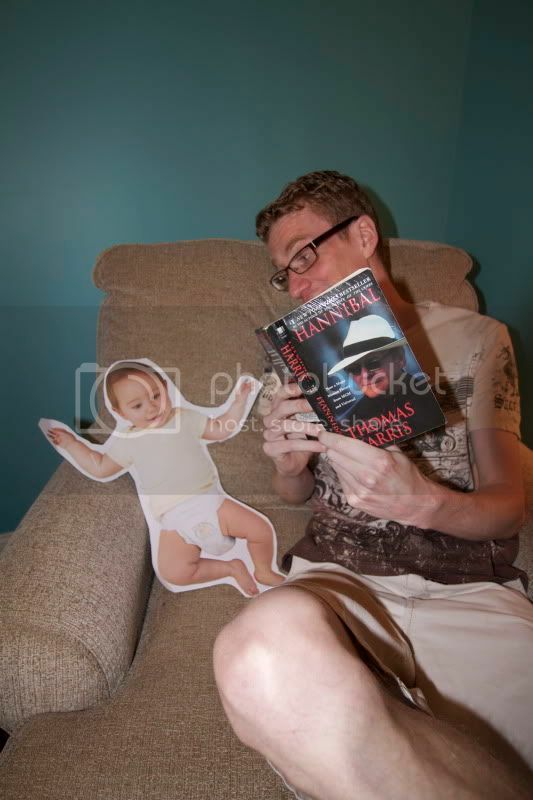 Having Flat Henry here has given Will LOTS of opportunities to practice his parenting skills. 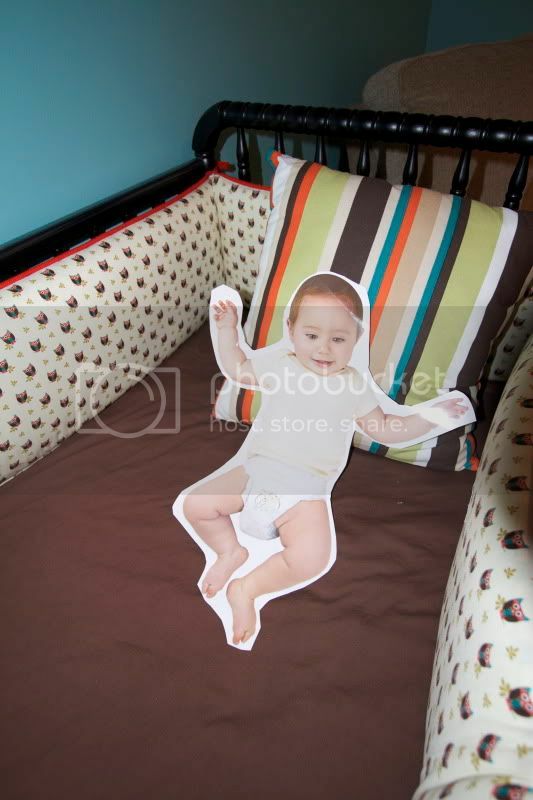 For example, here's an idea of how Will & Flat Henry's day was today. This morning Will loaded Flat Henry up in our jogging stroller to take a little walk around the neighborhood. Will was very excited to get to use the stroller, but unfortunately got a little over-excited and had an "incident". Thankfully Flat Henry didn't seem seriously injured, but Will decided that it probably wouldn't be a bad idea to drive Henry over to be checked out at the doctor's office, so he gently placed Henry into his newly-installed carseat, and took so much caution in securing him safely inside. Later, after a clean bill of health was given, we were back at home. 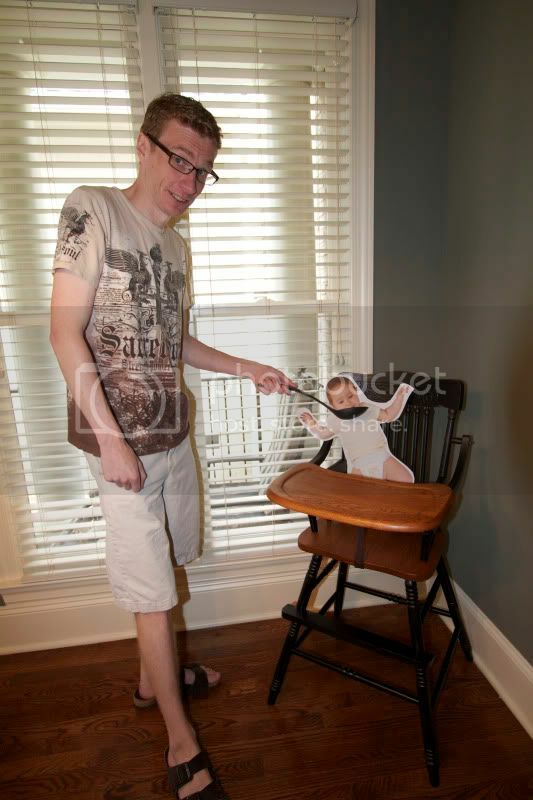 Will let Flat Henry try out the new high chair and fed him. Of course, Flat Henry's dinner led to Flat Henry's dirty diaper. 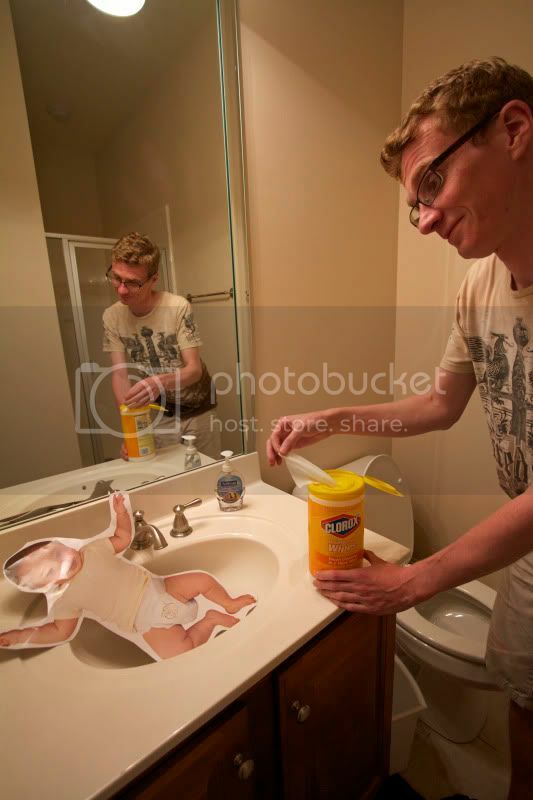 The dirty diaper was apparently so bad that Will decided to give Flat Henry his first bath. All this was eventually followed up with a sweet bedtime story. 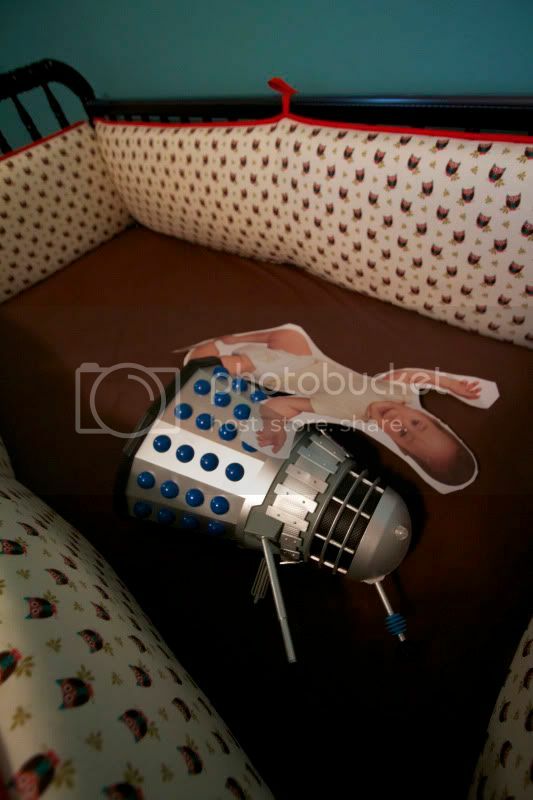 But Flat Henry had trouble going to sleep without his favorite Dalek snuggled right beside him. i laughed out loud at the bedtime story photo! OMG...This is hysterical. You 2 are really nuts. Josh and I had a good laugh! OK, first of all what in the #@$^ is a Dalek? AND seriously ridiculous. I love it so much, I want a book made for Harper out of these pics. 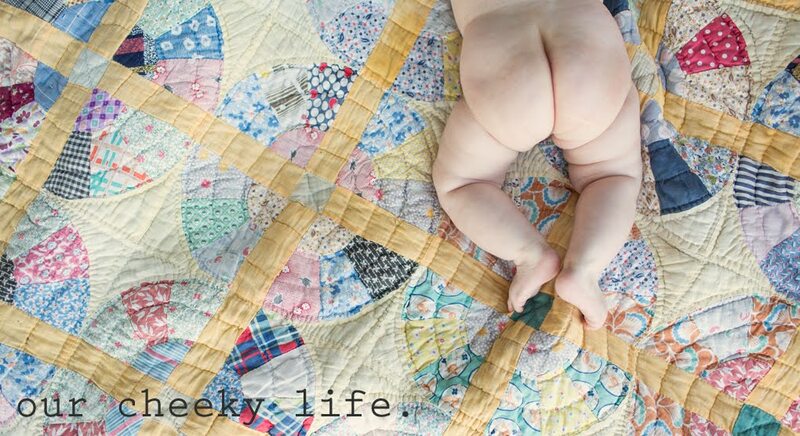 She will love it and I will loose 5 pounds each time I read it from laughing so hard! This is one of the funniest things I've ever seen! Well done!